Jul 21, 2010 in "Holidays at the Magic Kingdom"
Disney today put out a press release detailing the line-up for this year's holiday season. There looks to be no changes from last year, and so far no mention of a return of the Lights of Winter to Epcot. For more information and photos and video from previous years, follow the links below. 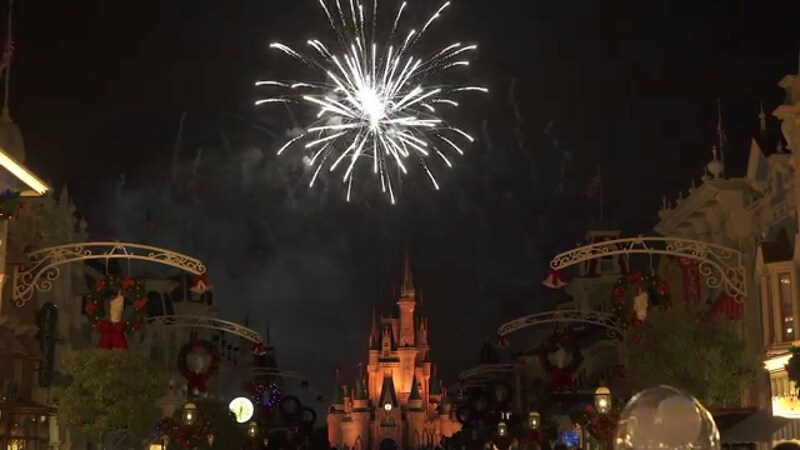 LAKE BUENA VISTA, Fla. -- From a sparkling ice castle and symphony of dazzling lights … to legendary international customs and wondrous displays … to magical entertainment and musical delights, Walt Disney World Resort unwraps an enchanting celebration of the holiday season in 2010. Electrifying fireworks, charming parades and all the sounds of the season help transform the 40-square-mile resort into a winter wonderland where holiday fun begins as early as Nov. 8. Guests who believe “there’s no place like home for the holidays” can enjoy the merriment at Disney and still curl up in a cozy place at home for Christmas ... while other guests can spend the holidays at Mickey’s place, since many seasonal happenings continue through Jan. 3, 2011. Dec. 19, holiday revelers can sip cocoa, catch a “snowflake” on a fingertip and catch the spirit of the season through enchanting entertainment that includes live shows, fireworks, carolers and special character meet and greets. Dancing gingerbread, marching soldiers and Santa’s sleigh parade down Main Street, U.S.A. to seasonal melodies during the twice-nightly “Mickey’s Once Upon A Christmastime Parade” … Cinderella Castle is draped radiantly with 200,000 glistening white lights … and “Holiday Wishes, Celebrate the Spirit of the Season” fireworks lights the night sky during a pyrotechnics show orchestrated to holiday melodies. The night wouldn’t be complete without the forecasted flurry of snowflakes along Main Street, U.S.A. and a warming cup of cocoa in hand. Party-goers also enjoy complimentary cookies and apple slices and enjoy unlimited admission to favorite attractions. This after-hours family-friendly outing takes place Nov. 8, 11, 12, 16, 18, 19, 28, 30 and Dec. 2, 3, 5, 7, 9, 10, 12, 14, 16, 17 and 19. The evening kicks off at 7 p.m. and continues until midnight. Day-of-party ticket pricing is $59.95 ($53.95 for ages 3-9). Advance tickets are available with $6 savings for most dates. 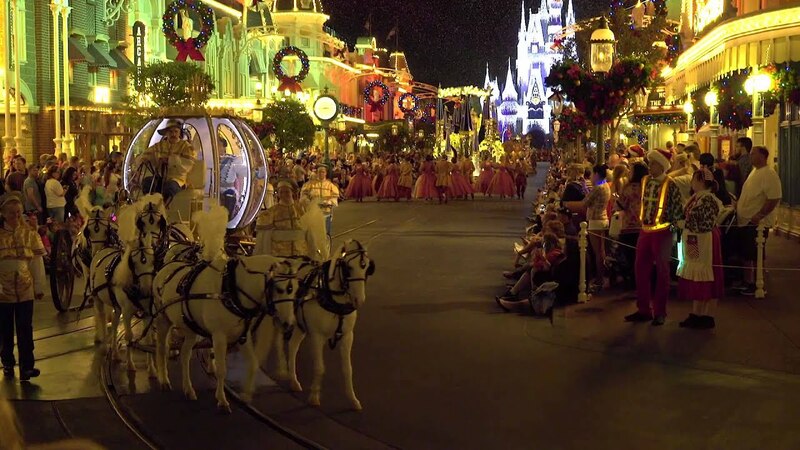 Guests can visit Disneyworld.com/christmasparty or call 407/W-DISNEY. 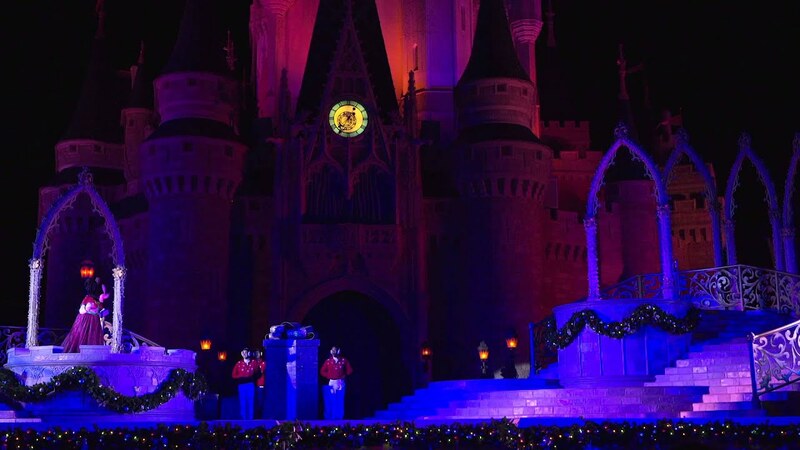 Castle Dream Lights – When daylight has passed during the holiday season, Magic Kingdom guests can behold a breathtaking transformation during the Castle Dream Lights ceremony. Each evening Nov. 8, 2010, through Jan. 3, 2011, Cinderella and favorite characters decked out in holiday garb take to the stage and magically transform Cinderella Castle into an ice palace aglow with 200,000 white lights – a perfect centerpiece to a park all decked out with wreaths, bows, garland and towering Christmas trees. Spectacle of Dancing Lights – Millions of brilliant bulbs blanket the backlot with dancing lights and animated displays synchronized to high-energy holiday tunes at Disney’s Hollywood Studios Nov. 8, 2010, through Jan. 3, 2011. In fact, originally it was only in Little Rock, at the home of Arkansas businessman Jennings Osborne. The rich tradition began some 20 years ago when he strung 1,000 lights as a Christmas gift to his daughter. After the exhibit grew larger and brighter – into millions of lights – it was transported to Walt Disney World Resort in 1995, where the light display now delights guests from all over the world each year. Holidays Around the World – Throughout World Showcase, storytellers share customs and lore from their heritage from Nov. 26-Dec. 30. Strolling around the promenade during the Holidays Around the World celebration may put you face-to-face with the good-hearted witch La Befana, known in Italy for filling children’s shoes with treats, or the jolly gift-bearer Father Christmas in the United Kingdom. There are meet and greets with Santa and Mrs. Claus in The American Adventure, plus other legendary icons who share messages of goodwill. The celebrations of Kwanzaa and Hanukkah are showcased as well. The evening is capped by the visual splendor of “IllumiNations: Reflections of Earth,” the mesmerizing Epcot spectacular featuring fireworks, laser and water – all spruced up for the season with a spirited holiday finale. Candlelight Processional – The poignant story of Christmas unfolds during this renowned event featuring celebrity narrators, a mass choir and 50-piece live orchestra at America Gardens Theatre. On Nov. 26, Isabella Rossellini is scheduled to lead off the star-studded celebrity lineup that later in the season is scheduled to include Whoopi Goldberg and Jodi Benson among others (lineup of narrators is subject to change without notice). To ensure a seat for this joyous favorite, Candlelight Dinner packages are available with dinner at select Epcot restaurants, a special spot for fireworks viewing and guaranteed seating for the heartfelt Candlelight Processional. For bookings call 407/WDW-DINE. Mickey’s Jingle Jungle Parade – The wild side of Animal Kingdom blends with a playful spirit of the holidays during “Mickey’s Jingle Jungle Parade.” Mickey and pals present seasonal melodies with a world beat twist during a whimsical cavalcade throughout the park. The high-energy afternoon parade runs daily from Nov. 26, 2010, through Jan. 3, 2011. Santa Goofy’s Holiday Village is adorned with festive décor and perfectly trimmed Christmas trees and crooning carolers. And Santa Goofy and spirited friends greet guests for photo opportunities. Festival of the Seasons – Santa Claus is coming to town – to Downtown Disney, that is – and he’ll be meeting kids, listening to wishes and posing for pictures daily from Nov. 19 through Dec. 24 at Santa’s Chalet. Santa is at the center of Festival of the Seasons, during which school choirs and bands often perform at the dock stage to help ring in the season … and shoppers can enjoy holiday gift buying every day. With dozens of shops from boutiques to gigantic toy stores, there is something for every style and budget. Tren-D has hip fashions and accessories, D Street offers all the latest Vinylmations, the World of Disney store showcases character, princess and pirate merchandise, and lots more. And you could fill Santa’s sleigh with all the games and goodies at Once Upon a Toy. There’s also Ghirardelli chocolates, Basin (soaps and bath products), LEGO Imagination Center and much more.